Saturday morning brought some exciting news from the production of Warner Bros' long-awaited film 'Wonder Woman.' Gal Gadot shared an official set photo of her as Wonder Woman incognito while in London it appears. A press release also revealed the cast. While dropping news on a weekend morning is rather unorthodox it doesn't take away from the fact that after 75 years one of the most iconic heroes, female or male, is finally getting a film adaption. Principal photography has begun in the UK and the cast includes Chris Pine (the “Star Trek” films) as Captain Steve Trevor, Robin Wright (Netflix’s “House of Cards”), Danny Huston (“X-Men Origins: Wolverine”), David Thewlis (“The Theory of Everything”), Ewen Bremner (“Snowpiercer”), Saïd Taghmaoui (“American Hustle”), Elena Anaya (“The Skin I Live In”) and Lucy Davis (“Shaun of the Dead”). Another odd thing is the casting. Usually, there's a ton of speculation and leaks or scoops leading up to an announcement. There had been rumors about Eva Green and Sean Bean being considered for roles but apparently that fell through. Pine, Wright, Taghmaoui, Huston, and the others make a solid acting ensemble but hardly A-listers. The release below didn't attach roles to the actors besides Pine but Wright as Hippolyta seems like a lock. 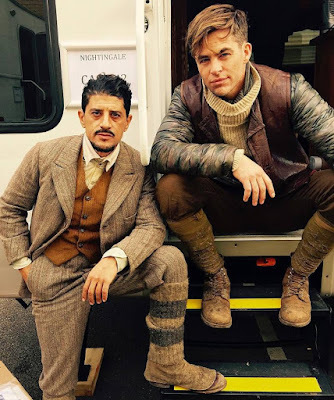 And as the set photo of Pine and Taghmaoui showed, the rumors of the film taking place in different time periods seems legit, specifically during World War I and present day. 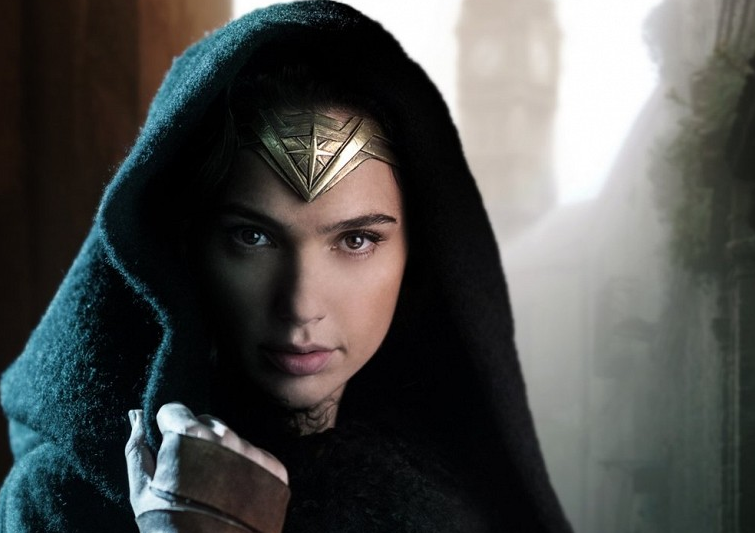 Gadot as Diana Prince/Wonder Woman will first appear in 2016's 'Batman V Superman: Dawn of Justice' and her solo film will arrive in 2017. BURBANK, Calif.–(BUSINESS WIRE)–Principal photography is underway on Warner Bros. Pictures’ Wonder Woman feature film, the highly anticipated action adventure from director Patty Jenkins (“Monster,” AMC’s “The Killing”), starring Gal Gadot (the “Fast & Furious” movies) in the role of Diana Prince/Wonder Woman. The character will make her big screen debut this spring in “Batman v Superman: Dawn of Justice,” but the new film will mark her first time headlining a feature.